Well, this is unexpected! Just a few months before Nintendo were going to release Metroid Prime Federation Force, they’ve released Blast Ball for free on the eShop! What’s more, this eShop version isn’t a typical demo. No, it’s actually the full Blast Ball mode from Federation Force. You’ve got local multiplayer options. Online multiplayer options. Various settings related to character customisation. The lot basically. Well, for the US version (marked as a demo), it’s time limitations. Basically the demo runs special servers. These servers will then be discontinued a short while after the full game is released in September. It’s unknown whether this also applies to the European version. It might (given how logical it’d be), but the one on the eShop here doesn’t mention it’s a demo. So it’s possible it could be an outright replacement for the mode in the full game. Sort of like a solution to the ‘London Life problem’. 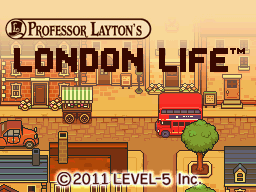 London Life was a mode from Professor Layton and the Last Specter. It was cut from the game in the UK due to time constraints and its complexity when it comes to translating it. As a result, it’s possible a similar situation might have occurred here. Maybe the space ran out for the mode cause of the many languages they added in. Maybe they just didn’t want to include it for some unknown reason. So instead of losing it, they put it out online as an alternative way for people to access the mode. That’s definitely a possibility here. Or it could just be bad wording. We’ll have to wait and see on that front. Either way, Metroid Prime Blast Ball is now available for free on the eShop. Go ahead and try it if you want another 3DS game to play online.